At first, I thought this was going to be more orange therefore not suiting me but am glad it’s an orange red. 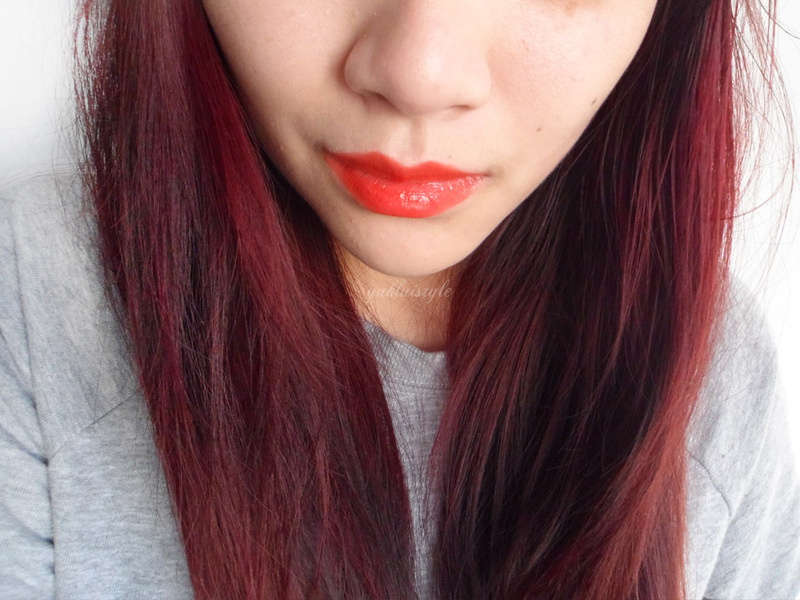 Looks like a neon shade on my lips but it suits my skin tone well, brightening it. This would suit those who are scared of trying out a bright red lippy and would be a great first reddish lipstick to start off with. From the first swipe, it was sheer with great colour payoff. With a light hand, it gives a nice wash of colour. 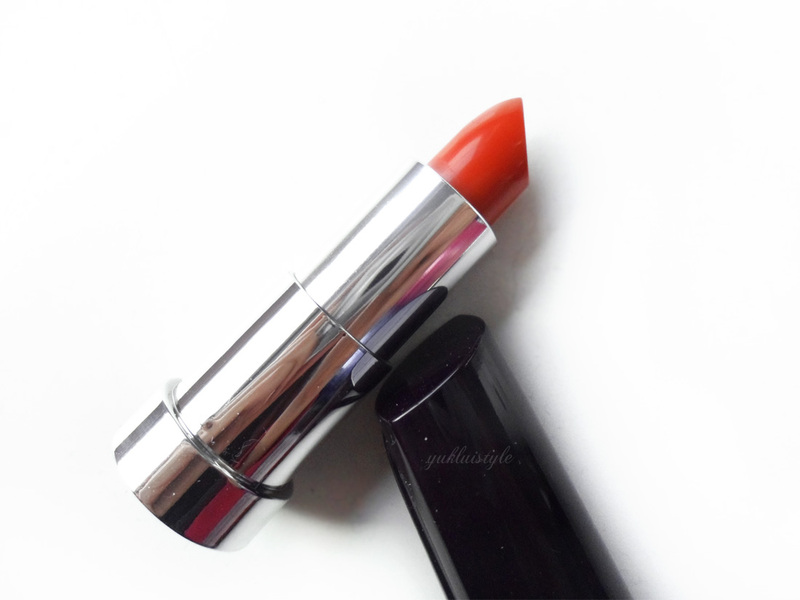 It’s definitely buildable and find that 2 swipes overall is enough for a rich colour. I’ve applied this straight onto the lips without any lip balm and this doesn’t dry out the lips during the duration of the wear. 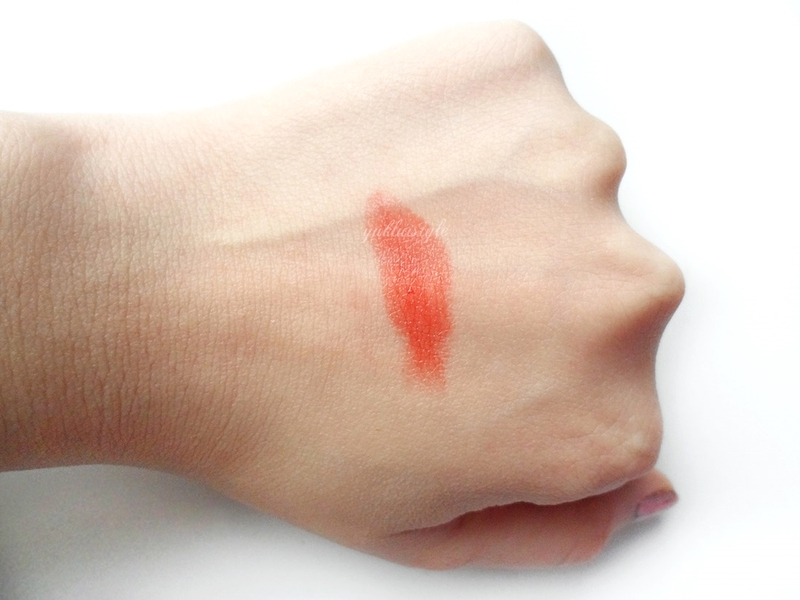 Doesn’t emphasis any dry patches I may have and due to it’s hydrating nature, it glides onto the lips easily. It leaves a creamy finish with a subtle shine and gloss without a sticky residue. There is a typical lipstick smell which isn’t off-putting. After food and drink, this had lasted around 3-4 hours which is pretty surprising for a lipstick with these hydrating properties. When it wears off, there’s a hint of colour left over. If you prefer a hint of colour, you can always blot after applying this. It’s still hydrating afterwards. This is originally £15 but it’s half price at the moment. It’s without a doubt, a lipstick everyone needs to pick up. I need to pick up a few other shades. 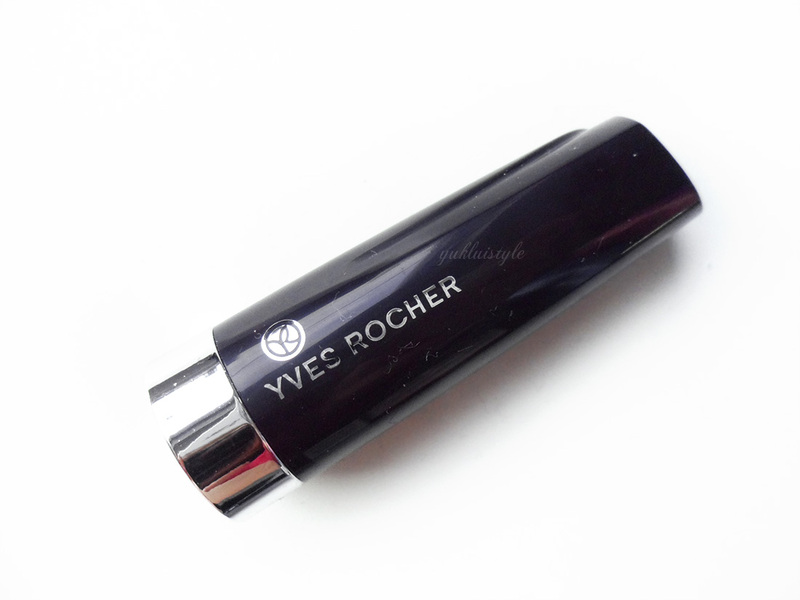 Have you tried any of Yves Rocher lipsticks? gorgeous lip colour especially for this season! that orange will probably suit most women!!! I like this shade a lot, it looks great on you! I love the color!!! 🙂 perfect for a nice sunny day!! I haven't tried any of their lipsticks, but I have tried their nail polish. It lasted me 8 days without chipping, so I'd like to get a few more in different shades. I'd usually avoid orange like the plague but you are right, this one looks a lot less intimidating than many orange shades!